Business and sales is all about making connections with other people. There’s a reason why companies look for outgoing, friendly, helpful people to be on their sales team—these are the kind of people that easily forge relationships and connections with people they’ve just met. Building lasting relationships is about trust. One of the best ways to ensure that those relationships last is to make sure that your customer knows they can place their trust in you. When we were first starting off, our journey would have been so much easier if we had someone there to give us guidance, knowledge or even simple encouragement. This is why we dedicate ourselves to helping small business owners stay motivated and achieve all of their business goals. We believe that your needs should always come first, and our “give first” mentality of customer service ensures that you will always have a dedicated team of small business professionals helping you find success. those goals or desires. The better you get to know your customers, the more they will trust you. Get rid of your ego. Sure, there is a competitive aspect to sales, and there are plenty of strategies that you can take to make it more likely that you’ll close a sale. But really, the most important thing in any conversation with a potential customer should be the customer, and not the sale itself. You’re in the business of people, and as such, you need to stay focused on the people more than the dollar signs. Listen to your customers. Allow them to talk so you can hear what they need, what their challenges are and how you can help. There’s a big difference between listening and waiting to talk. Reach out to customers for their thoughts. Rather than waiting for customers to come to you with problems, complaints or simple questions, be proactive in reaching out to them to get their opinions on a variety of things relating to your business, like new products or services or potential promotions. You can easily do this through emails, surveys, phone calls or in person. When it’s clear to a customer that you respect their opinion, then there will be a much deeper level of trust in your relationship. Remember: trust is vital in any relationship, and the business/customer relationship is no different in that regard. 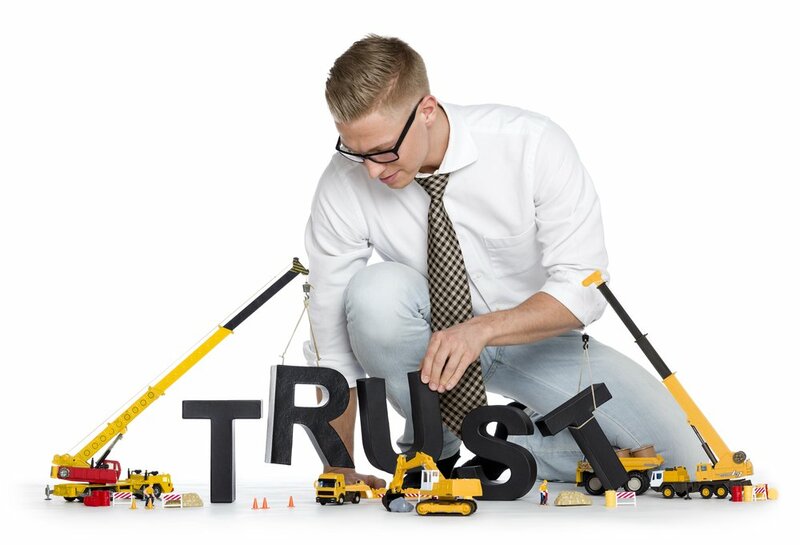 Follow these tips and build stronger relationships with a firm foundation in trust.